Today we spent some time over at SICSA. It is the neighborhood pet rescue center. They had a jewelry fundraiser and we went. 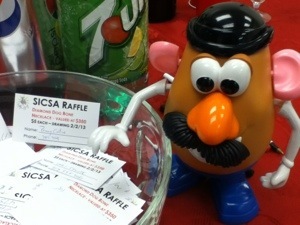 SICSA is located at 2600 Wilmington Pike in Dayton Ohio. Ohiophotogrl and I had a great time taking with the ladies at the refreshment table. Thanks for entertaining us. This entry was tagged 365, blog, fun, fund raiser, laughing, Mr. 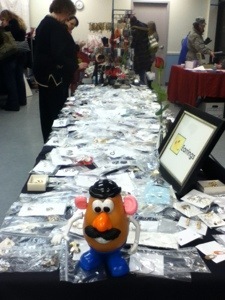 Potato Head, picture a day, SICSA. Bookmark the permalink. Jan 31 is that a fossil?